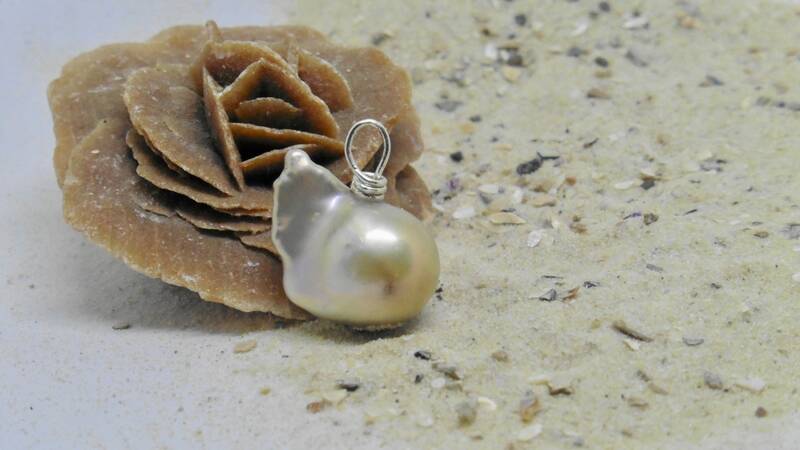 A pearl pendant made of a single very large baroque pearl with a real silver hook for threading, e.g. for a silk ribbon. This pendant also looks enchanting on a delicate silver chain. It is a real Ming or Edison pearl. With the purchase you receive exactly this pearl. It was specially drilled as a pendant only from above. This pendant will be delivered without chain. You can choose between 4 variations: without suspension, with silver jewellery wire, with silk ribbon or with a very fine genuine 925 Sterling silver chain 45 cm long. Size of the pearl: approx. 13x19 mm.